any of the ones shown in this thread can be made to work on the pro-lite. 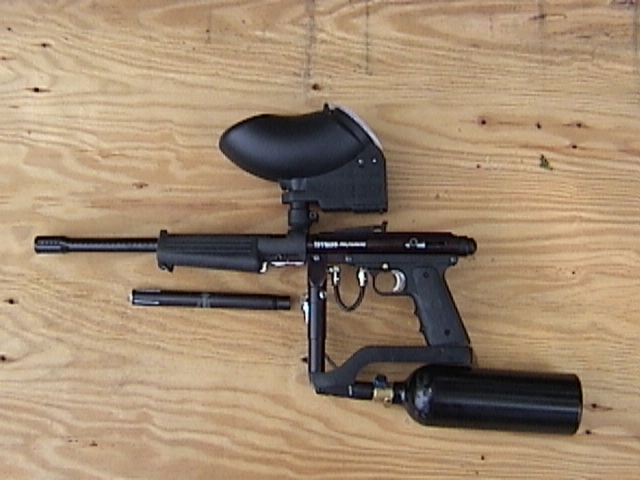 Yes with enough fittings you could connect directly to the valve, but on the pro-lite and am the valve is meant to float a little bit, With all the fittings you would have to cobble together to clear the trigger, this could be a weak spot for breaking then you have a co2 missile flying. Last edited by snaparen; 12-28-2015 at 11:23 PM. Ok again thanks and I wouldnt want that happening lol. 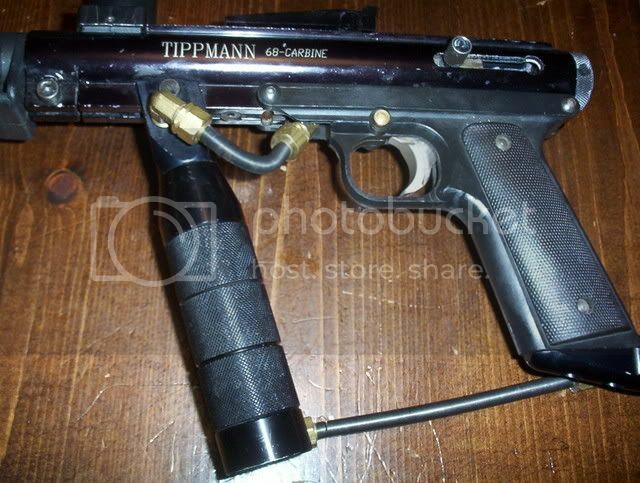 Hey off topic here but would a co2 o-ring work as a bolt o-ring on my tippmann pro am? Its been awhile since I had any of mine open, but if I remember a tank oring is to big for the bolt. where do you live? I may send you one. I'm about 90% certain the front bolt o-ring is the same as a tank o-ring, which is a -15. I just put a tank o-ring on the front bolt to check, and it looked like it fit, but I've got no air to test it out. I'm pretty certain I've used tank o-rings on the front bolt before with good effect, but I'm pretty certain of a lot of other things that never actually happened, too. The hammer o-ring is bigger, a -17. Are we ever going to be at Doom at the same time again, Snaparen? Well I have put a tank o-ring on the bolt to see if it fit and it did but it looks ever so slightly thinner than the one on the other bolt in my tippmann pro lite. And it is the hammer bolt I am referring to. I was just coming back to say I think I miss spoke, the front bolt should be the same as a tank ring. The hammer is as Chandlercv said above. I should really get one of mine out and play with it again. not sure when I will be able to get up to doom...... sad isn't it. Snaparen, truly it is sad, especially since I just acquired an sl-68 (to go with my Hawaiian shirt). If there's anything I can do to get you out, let me know. It's been a minute. I'll be up there for January 2 - a bunch of folks from D-Day should be in town. And I also just realize we were talking Pro-Ams rather than Pro/Carbs. I lucked out that the bolt O-Rings are the same for both, according to the diagrams at tippmannparts.